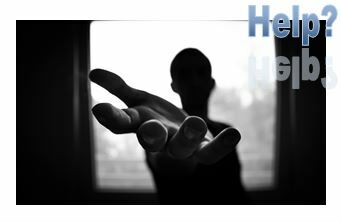 Helping means, to begin as if the perspective of the one asking for help (it is not helpful if they do not ask, especially if they are adults), is valid. That is to say, the helper knows that the "helpee" sees things as they do for some good reason (assuming they are not psycho-pathologically injuring others). Helpers must begin as if the "helpees" beliefs have legitimacy, truths, and reasons. From this starting point (they asked, they are adult and safety is assured, and their beliefs are valid) change becomes negotiable. In my practice time and time again, I work with people who hold absolutes, creating seemingly forced existences. My role, with the aforesaid conclusions included, is to usually mirror the "either / or" thinking and then offer third and fourth options. When someone is able to strike through the "OR" of black or white, good or bad, all or nothing ... and replace "OR" with "AND" a third option appears. This begins the path to freedom. When this approach fails (and it does at times), then beliefs are at play. Thoughts, feelings and history (those 3 components of beliefs) must be taken a part scientifically, using neuro-biology psycho-education. For example, explaining to the helpee "here is how your hippocampus works, here's how your amygdala works, here's how adrenaline, cortisol and epinephrine works, here's how testosterone dopamine and oxytocin work, and here's how happiness (in the brain) actually works." My other thought is this: everything outside of safety (and perceived safety is a belief) is negotiable! What I am not, as a helper: I am not the morality police. I do not know my clients' lives better than they do. I am not in a one up position. "Help" cannot come from one up. Help cannot come from inequality. The union of what the client asks for and what the client knows with the offered options that remove all / nothing thinking, along with regard for what the client believes as having some good purpose, meeting the joy of negotiation for better lives .... that is "HELP."